The Fourth of July is a quintessential American holiday where we often think of fun summertime festivities and time spent with friends and family. A day relaxing at the lake or by the pool day with friends, a barbecue with family, and a night watching the sky light up with the vibrant colors of fireworks are just a few of the activities we Americans love to do to celebrate Independence Day. 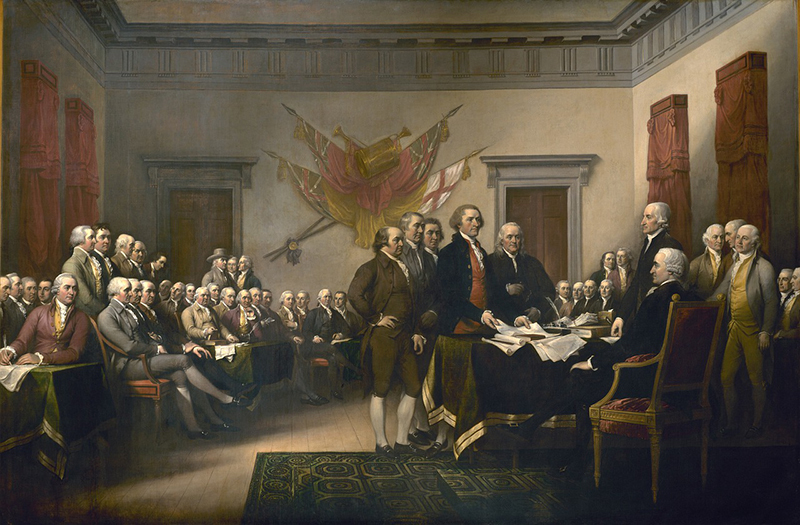 However, one addition to the day that is often forgotten can be a simple way to honor the Founding Fathers whom without their Declaration of Independence, we would have nothing to celebrate. Flowers are a simple and beautiful way to honor such great men in our nation’s history because many of them loved their gardens. George Washington’s gardens at his home, Mount Vernon, were still of great concern to him even when he was president. In his letters to his steward, he wrote instructions for taking care of the plants. He loved spending time in his botanical garden which he referred to as “my little garden.”* Thomas Jefferson also loved his farm and flowers. He carefully designed his gardens at his home, Monticello, and kept careful documentation of the flowers and his observations of them in a book. Although we hold them in honor as the men who helped start such a great nation, these men were first farmers, and their love of flowers and nature lasted a lifetime. 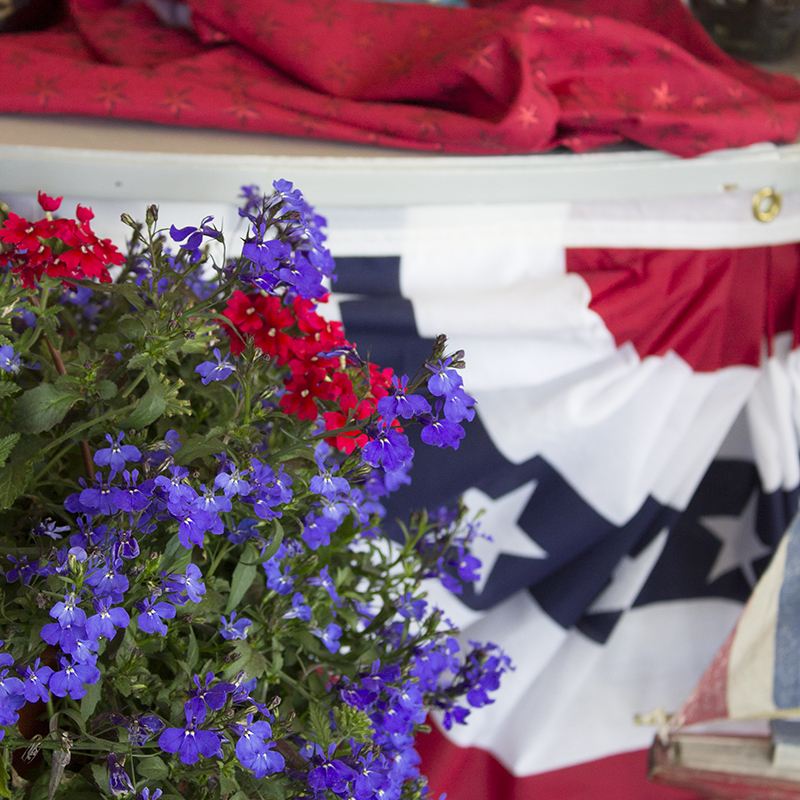 So when it comes time to celebrate the Fourth of July do not forget to add flowers to the fun day. Celebrate with red, white, and blue! Red and white flowers come in a great abundance of different flowers such as roses, carnations, and daisies. 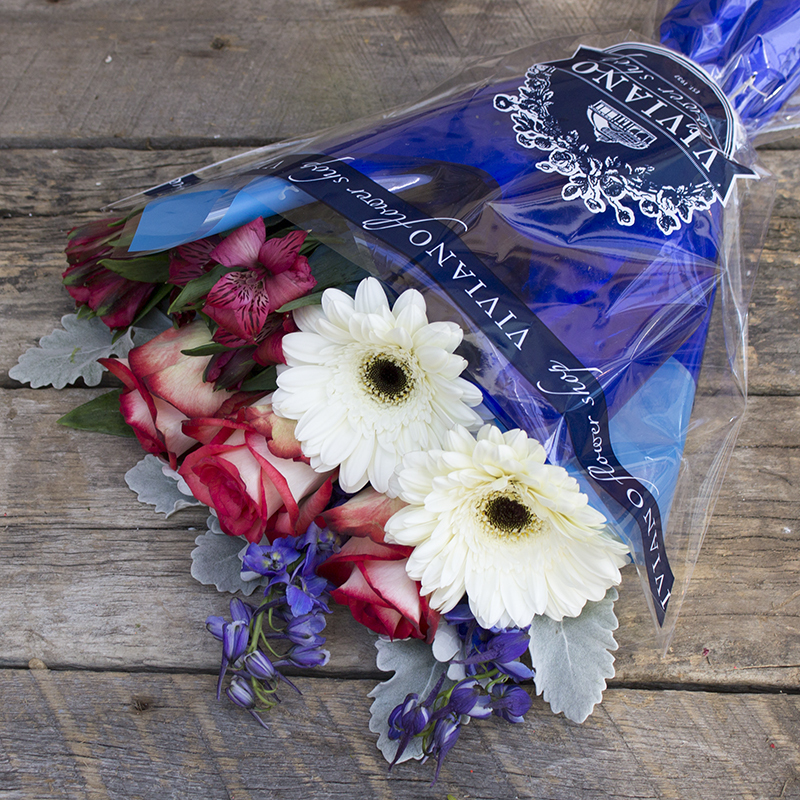 Blue flowers are more rare, but some of our favorites include hydrangeas, delphiniums, and irises. 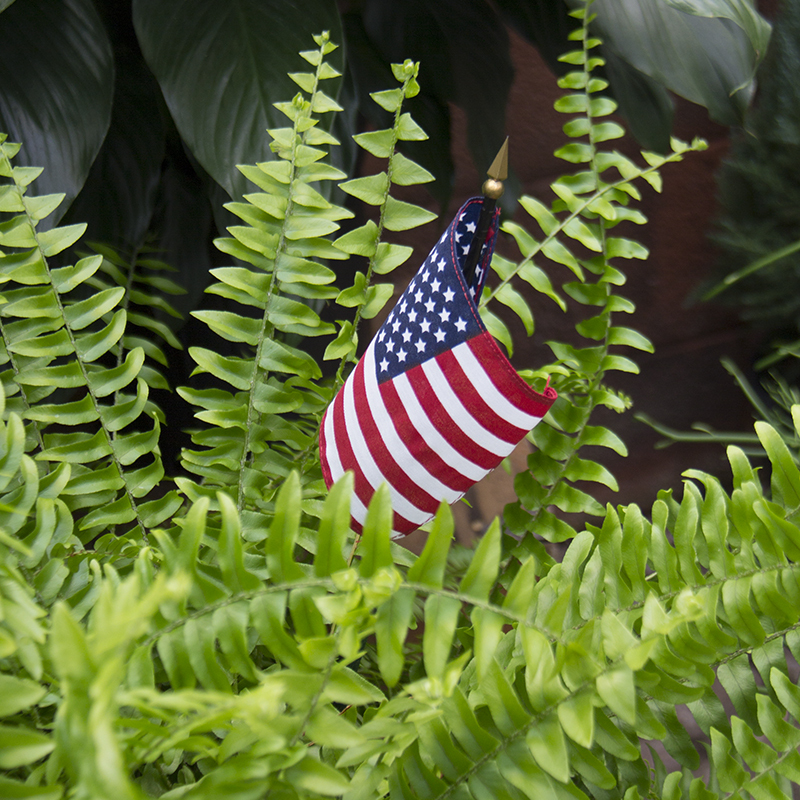 Even if you choose not to stick to the classic red, white, and blue color scheme, flowers of any color not only serve as a great way to honor the men who loved gardens and founded this nation but to add a little bit more beauty to a wonderful day.